Levante vs Real Madrid predictions for this Sunday’s game in Spain’s La Liga as Los Blancos head to Valencia. Read on for our free betting tips and predictions. Real Madrid’s bid to get back into the title race came to a shuddering halt last weekend with a shock home defeat. They head to Levante this Sunday hoping to respond ahead of a crunch week with two clasicos in the space of four days. The hosts though are hoping to complete a historic league double over Los Blancos. 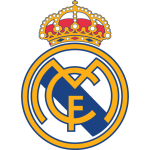 They are actually unbeaten in 3 games against Real Madrid having won 2-1 at the Bernabeu earlier in the season. They were also impressive 4-1 winners away to a woeful Celta Vigo side last weekend so Santi Solari’s men certainly can’t afford to take this one lightly. That said, Los Blancos may already be in a position where the cups are of increasing importance, with a comeback from a 9 point deficit in La Liga unlikely now given there are only 14 games to play and Barcelona will almost certainly end the season with the superior head-to-head record. Real’s 2-1 defeat to Girona last time out ended a sequence of 7 wins from 8 in all competitions. We’ve certainly got plenty of reason to expect goals in this one. Levante are having a good season overall but they still have La Liga’s joint worst defensive record with 1.79 goals per game conceded. They’ve actually conceded more at home than they have away so there should be plenty of space for Real’s front-line to exploit. 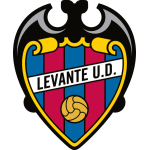 73% of Levante home matches this term have produced over 2.5 goals, while 45% have produced 4 or more. Half of Real Madrid’s away games have done likewise and they have looked sharper in the final third over the past few months, although clean sheets haven’t been all too regular. 6 of Real’s last 8 games have seen over 2.5 goals and both teams score. They will be without Sergio Ramos here too after his 20th La Liga red card last weekend, which could have a slightly unsettling effect on the defence. Levante have plenty of pace and a fair bit of quality too in attack with Jose Luis Morales, Roger Marti and Borja Mayoral competing for starts. The latter is on loan from Los Blancos and won’t feature here as a result so top scorer Marti should return to the team. Overall, backing Over 3.5 Goals looks a decent bet here in what should be an open game. Backing Real Madrid & Both Teams to Score could also be worth considering. That has been a winning bet in 5 of their last 7 competitive away games. Real have conceded in all of their last 8 on the road. Levante are unbeaten in their last three games against Real Madrid in LaLiga (W1 D2), having lost the previous nine in a row. Real Madrid have beaten Levante 19 times in LaLiga; the joint-most in the competition, alongside Barcelona. Levante have only lost two of their last eight LaLiga games at Ciutat de València in (W4 D2) – their last defeat was against Barcelona in December 2018 (0-5). Real Madrid have lost seven of their 24 games in LaLiga this season; their worst record of defeats at this stage of a season since 2006-07. Levante have conceded 40 goals from inside the box in LaLiga this season; a joint-high alongside Celta de Vigo. Real Madrid have only won 38.5% of their games with Marcelo Vieira in LaLiga this season (five of 13), while they’ve won 81.8% when the Brazilian hasn’t featured (nine of 11). Levante’s José Luis Morales is the midfielder who has scored the joint-most goals in LaLiga this season, along with Pablo Sarabia of Sevilla (eight goals each). Real Madrid defender Marcelo Vieira has scored three goals against Levante in LaLiga, more than against any other opponent. Real Madrid goalkeeper Thibaut Courtois has only saved 65.4% of the shots on target he has faced in LaLiga this season (52/78), the second-worst percentage of any goalkeeper (min. 20 appearances). Levante manager Paco López won his first game against Real Madrid in LaLiga (1-2 at the Santiago Bernabéu in October 2018) – the last manager to win his first two games against them in the competition was Gerardo Martino with Barça in 2013-14.